Arkansas Conference Preparedness Training, Consult and Mentoring services are available to local churches and communities. 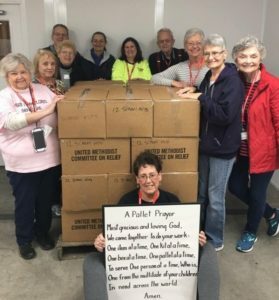 Teams praying over each pallet of relief supplies. 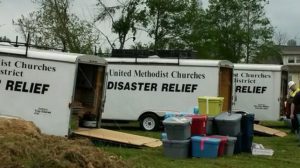 The United Methodist Church has a disaster preparedness and response plan for the conference. The plan is currently under revision.